Canada’s largest union says the Liberal government’s final budget before the October election fails to give Canadians help when they need it most. In particular, CUPE is dismayed by the government’s lack of real action on pharmacare when millions of Canadians are unable to afford their medication. Canada’s drug costs are the third most expensive in the world. 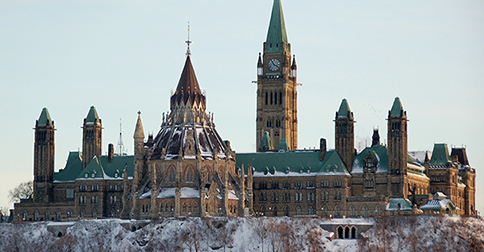 In September, CUPE called on the government to make housing, child care and pharmacare the signature supports of its 2019 budget. CUPE estimates that significant investments in these supports would deliver major savings for Canadian families and employers, while creating good jobs and boosting our sluggish economy. Instead, the Liberal government’s pre-election budget offers little immediate support on prescription drugs, a patchwork of market-driven initiatives on housing, and nothing on child care. For CUPE, it is a question of priorities. “The prime minister had no problem finding billions to subsidize his corporate friends, but when it’s time to fund the real priorities of Canadians, Mr. Trudeau and Mr. Morneau are missing in action,” said CUPE National Secretary-Treasurer Charles Fleury. CUPE is also disappointed the Liberal government’s proposed Canada Training Benefit excludes the unemployed and precariously employed workers who need support the most. CUPE is alarmed to see the government continuing to promote profit-driven private investment in public services through social finance, a move that opens the door to privatization of vital services. CUPE is Canada’s largest union, representing 680,000 workers in every province across sectors.